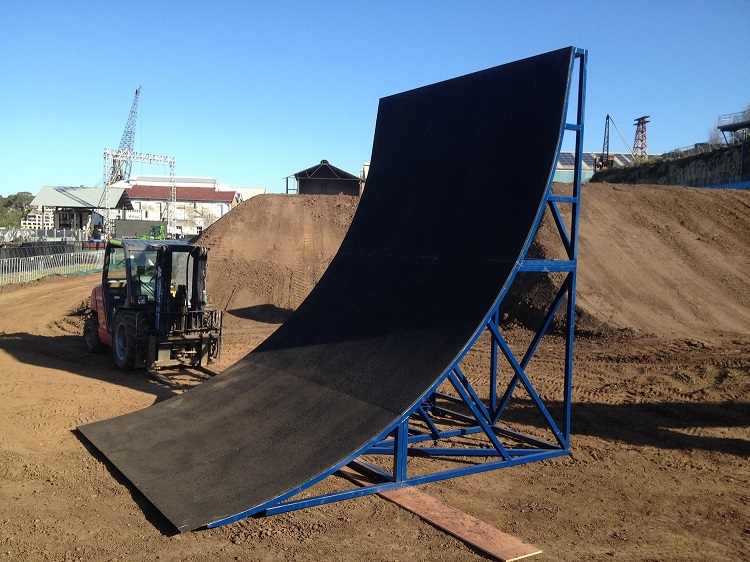 Skate ramps vary in sizes and can range from a small quarter pipe to large connected structures. Although it would be ideal and efficient to build a skate ramp on the premises where it will eventually be located, however there are some instances where this may not be possible. Lifestyle and circumstances may have changed, moving to a new house, reclaim some space, selling the skate ramp or bought a second hand one online and need it transported. These are all valid reasons, whilst moving a skate ramp is not an easy accomplishment, there are options available to help move such a large and bulky item. Often skate ramps are of a decent size and when moving a large piece of item like this, it is often more efficient to transport it as is or break it up into more manageable components. Ramps can often be as large as cars, caravans or boats so it doesn’t hurt to send some inquiries to car transport companies to ask whether they can help relocate your pride and joy. Enclosed car carriers can help provide more protection from the weather and other elements during transport whilst an open trailer is made to accommodate large vehicles which would suit. I would go with this option if you are planning to transport it a long way away such as interstate or across several states. The second option would be to transport the ramp with the services of an oversized specialist. With heavy haulage or transporting oversized items, specialist companies have custom made trucks that are capable of moving extra-large cranes, mining trucks, free standing homes and heavy machinery. 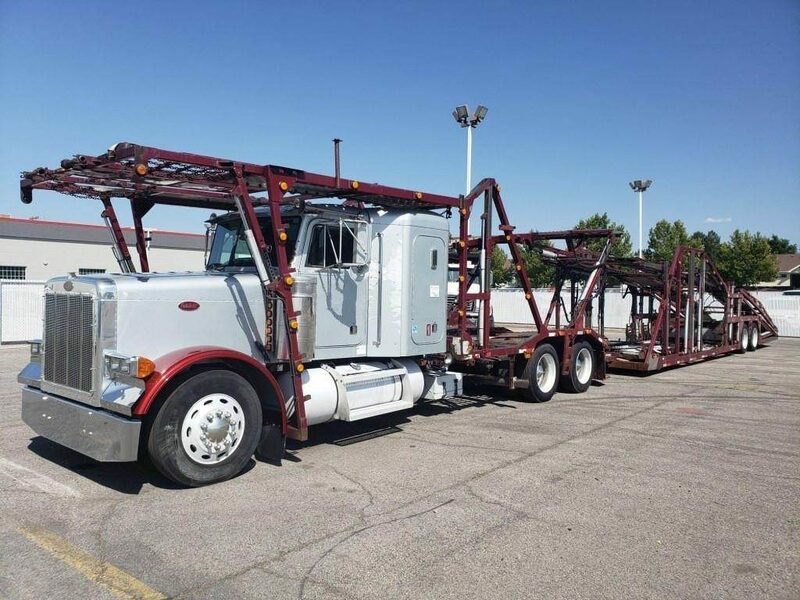 Depending on the size of the ramp, there may be local and state regulations for transporting oversized loads, a professional company will understand height restrictions and carefully plan the ideal route of travel between point A and point B. Although this option may seem overkill, it should not be dismissed prematurely as it is the only way competition ramps are transported. 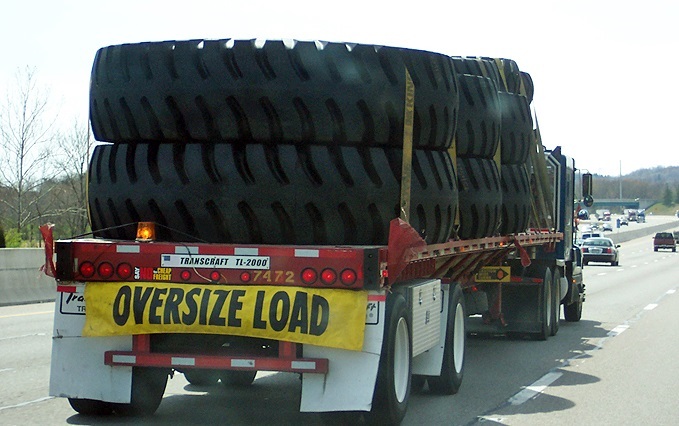 Do your research when it comes to transporting an oversized load. The last option is to simply transport it yourself; this can sometimes be the best solution or the worst idea depending on the size. 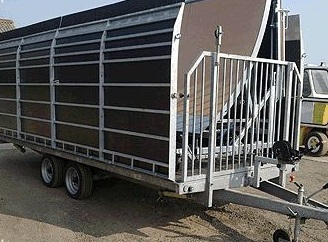 A truck or powerful car such as a 4WD or SUV that can hitch a flat car carrier trailer will be ideal. Dismantle the ramp if you intend to fit everything in a single trip or separate in small enough sections for multiple round trips on the car carrier trailer if transporting locally. Whichever option you decide on, there are pros and cons of each. Enlisting a professional will generally cost more for the relocation whilst moving it yourself can be time consuming and labour intensive. Do your research and weigh up the options whilst putting safety as the number one priority. Skateboarding is a passionate sport and like all professional sports, having the facilities available to help you improve is the first step to improving techniques and continuation of the passion. Having your own skateboard ramp although requires a fair amount of space, once erected you will without a doubt wonder why you never got around to it earlier. Building a skateboard ramp can be as simple or sophisticated as you want it to be. From simple quarter pipes that are portable to entire indoor rooms dedicated for skateboarding at fitted with a variety of sized ramps. Having a plan before gathering your power tools together is important; consider the type of ramp that best suits your skill level and the space that it will be installed. 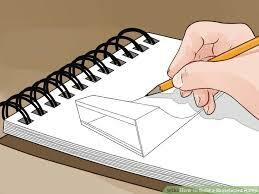 Begin by sketching out your ideas on paper; this will give you an idea of what the job involves and how to go about achieving it. Once you have your ideal skate ramp on paper, ensure you understand the measurements so you can build it to scale. 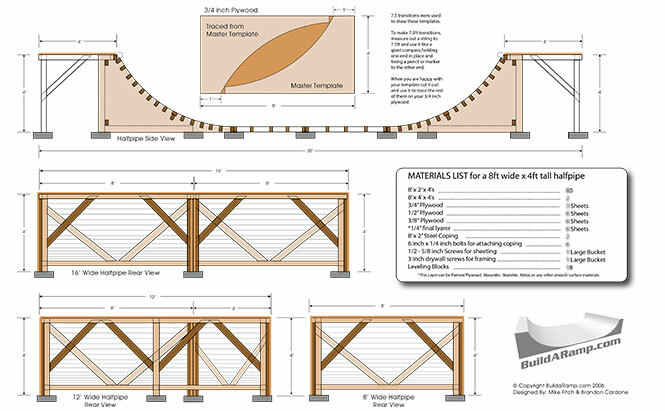 MDF or plywood can be used for the sides of the ramp, use plans and templates if you have any to outline the shape, otherwise fishing line is a great choice to assist in marking the desired curve as it doesn’t bend like string. Depending on how wide you wish your ramp to be, cut out support joists in preparation to connect sides of the ramp together, remember to brace joists over recommended spans if you plan on having a wider skateboard ramp. It is easy to get ahead of yourself when starting any DIY project, but remember to measure twice and cut once to minimize unwanted labour. There will be different parts of the ramp you will need to connect together. Deck screws are common. 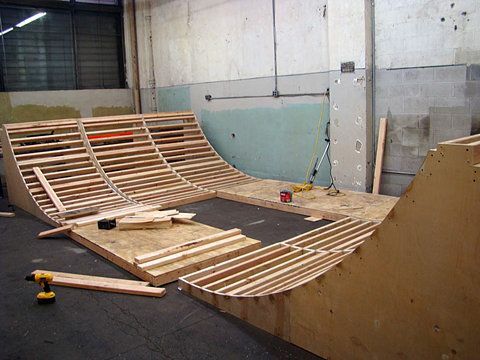 Bracing and secondary support from other parts of the ramp can add to the overall strength and stability of the joining part, although skateboarding does not create heavy impacts, it should be strong enough to withstand any fall that can be encountered whilst performing on a skateboard. Three main options apply for surfacing the frame, the first layer of the surface should always be untreated plywood followed by the top layer which can be a material called ‘skatelite’, it is the best skate surface on the market and is weather resistant but is expensive. Masonite is a surface that is thin, a brown looking board that is made from steamed wood chips and pressed to form hardboard. It is relatively affordable and makes for a smooth skate surface, however masonite will warp if rain gets to it so needs to be painted and sealed for protection. The third option is to install a second layer of plywood, but note that plywood is not weather resistant so it too should be painted and sealed for protection. 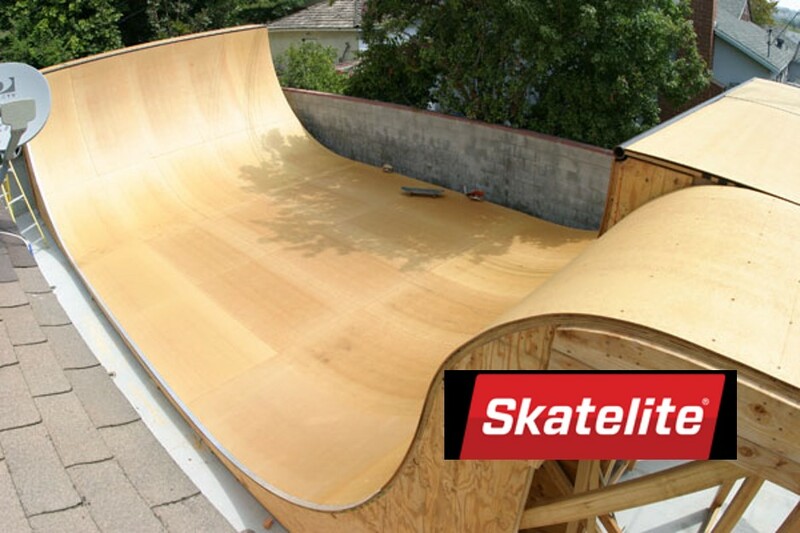 Complete the skate ramp by installing a suitable round metal pipe that spans across the width of the ramp. 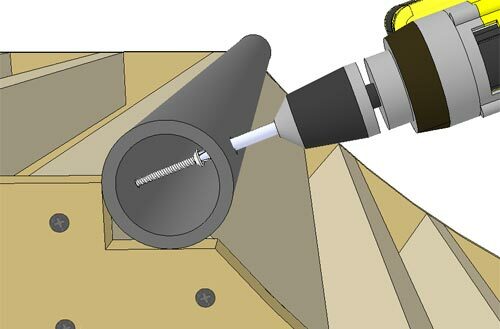 Drill a 12mm hole on one side wide enough for an extended Philips head and use a self-drilling metal screw to fix the inside of the pipe to the frame. 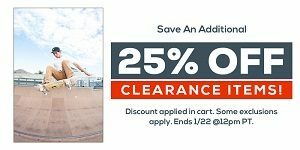 It isn’t difficult to build your own skate ramp and the accomplishment you get can be very rewarding. 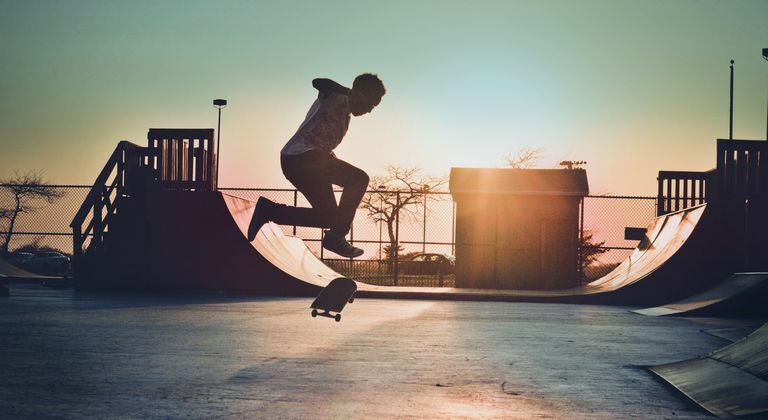 Skateboarding is a sport that can be enjoyed by all ages and having your own skateboard ramp to cater for the available space you have will bring significant joy to any skateboard enthusiast. Powered by GC Websites - Copyright 2019.